What are the VPN advantages and disadvantages? Each month, there are over 2 billion active Android devices registered by Google, making it safe to assume that there are at least 1 billion monthly active Android users (if not more) on the market. That’s 1 billion people – or more – whose personal data, online privacy, and digital freedom is in constant danger – provided they don’t bother to hide IP addresses on Android devices they own and use. 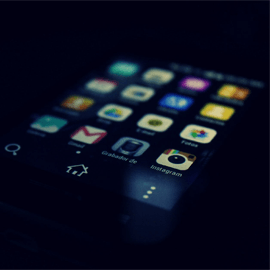 Yes – when you use an Android device to connect to the web without masking your digital footprints, you’re always at risk. Not to mention you have to put up with plenty of inconveniences when it comes to accessing online content. Every time you connect to a website without hiding your IP address, that website will log it, and store any relevant geo-location associated with your IP. In theory, the website will just use that info to offer you a more customized experience. Normally, you shouldn’t have to worry about your IP address being shared with third-party advertisers. Of course, that’s as long as the website’s Terms of Services clearly states they do not do that. However, in order to read the ToS to know a website doesn’t do that, you often have to access the website in question. Moreover, if a website you accessed suffers a data breach or a data leak, all the private info said website has gathered on you will be exposed on the public web. As if that wasn’t scary enough, it’s also worth mentioning that, when an IP is combined with other pieces of information (your username on a certain website, your browsing habits, the address range identified by a subnet), it can actually reveal your real-life identity! So, if an online hacker has it out for you, they could find out some sensitive info about you. Depending on how “serious” the cybercriminal in question is, they could try to use your IP address to track you to learn more about your online habits in an attempt to uncover more personal data. If things get out of hand, you could end up being subjected to identity theft, or have your personal info auctioned off on the deep web. Android devices are quite popular when it comes to torrenting. After all, you don’t usually have to bother “rooting” or jailbreaking them to use them for torrenting. And there definitely are a lot of P2P apps on the Google Play store as well. But if you don’t hide your IP address on Android, engaging in P2P could be very risky. That’s because the IP address that is associated with your Android device is actually visible to absolutely every single person or device that’s downloading/uploading the torrent you are using. Potentially, that can mean that up to 10,000 people can see your IP – all at the same time! Once more, you could end up in serious situations if one of those people happens to be a hacker that’s up to no good. Plus, don’t forget that, depending on the country you live in, your mobile ISP might share info about your torrenting activities with the authorities, or legal and copyright agencies, meaning you could get in trouble with the law. As a disclaimer, we here at CactusVPN don’t encourage online piracy or copyright infringement, but we are aware that, for many people, P2P files are the only way to get access to important software and documents they might need for work or school. At the same time, many torrenting laws are vague, and make it hard to tell what types of torrents are “okay” to download. One of the best things about Android devices (and mobile devices in general) is that they let you stay connected to the web no matter where you are – on the street, on the train, traveling abroad. Unfortunately, as convenient and amazing as all that is, there’s still one problem – geo-blocks. They are restrictions placed on what kind of Internet content you can access depending on what country you are connecting from. For instance, if you’re from Poland, and want to enjoy some quality entertainment on BBC iPlayer, you won’t be able to do it, as the service is only available in the UK. Or, more specifically, to someone connecting to the platform with a UK IP address. TV companies and content/streaming platforms usually say they have to impose geo-blocks because of various networking and copyright regulations. But that hardly justifies not letting you enjoy the entertainment you love just because your IP is from the “wrong” part of the world, right? Even worse, this can sometimes affect you even if you’re supposed to be able to access a certain website, or if you’re already paying for access to various content. For example, if you’re from the US and have a paid subscription for Netflix US, you won’t be able to access it when you’re abroad. Instead, you’ll have to settle for other sub-par Netflix libraries. Imagine this: You’re at work or school, just finished some hard work, and are ready to take a break, and browse your favorite websites or watch a TV show you love. There’s just one problem – you can’t do that. Your workplace/learning institution’s network placed restrictions on the IP you are provided with, and you cannot use the workplace/learning institution’s network to browse the web at your leisure – even though you are doing it on your own free time! And when it comes to learning institutions, these restrictions can sometimes be campus-wide, meaning you’d have to put up with them for months on end. The best way to do this is to use a VPN (Virtual Private Network). If you’re not sure what a VPN is or how it works, just think of it as a service that creates a private network over a public network just for you. 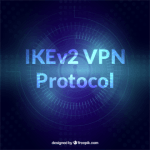 When you use the private network to access the web, your IP address becomes hidden, as it is replaced with a different IP address belonging to a VPN server. Plus, beside just helping you hide your IP address on Android, a VPN can also encrypt your Internet traffic and your personal data when you’re online. That can really come in handy when you’re using your Android device to connect to a WiFi network, as it will keep hackers at bay – hackers who would otherwise be able to steal sensitive data from you, like credit card numbers, login details, and other personal information. At the same time, a VPN’s encryption can also protect your online traffic from government surveillance and ISP snooping, basically ensuring nobody knows what you are doing on the Internet. We understand the appeal of using free VPNs to hide IP addresses on Android, but do you understand the real risks associated with doing such a thing? Keep in mind that no service is actually “free.” Even free VPNs have to make money somehow. Otherwise, they would be out of business quite fast. They collect and sell user data to third-party advertisers. They spam you with ads when you use their website or VPN client. They sell your bandwidth for a profit. Some free VPNs have even been caught using tracking libraries to collect user data. Plus, it seems that the majority of the free VPN apps on the Google Play store were found to be malicious. So, clearly, it’s in your best interest to use a paid VPN to secure your online rights and hide your IP address on Android devices. Just make sure you choose the right VPN service. Our Android app can help you hide your IP address on Android in seconds, and it’s extremely easy to use. Plus, you’ll be safe whenever you’re online since our VPN’s high-end AES encryption and OpenVPN protocol have got you covered. What’s more, we don’t keep any traffic or connection logs, and you won’t be exposed even if you have an unstable Internet connection, as our app will automatically try to reconnect if you experience connectivity issues. Oh, and 8 out of our 23 servers offer P2P support, so you get to enjoy secure torrenting without having to worry about anyone closely monitoring it. Don’t really want to use a VPN app? 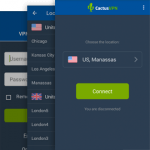 No problem – we’ve already got tutorials covering the methods you can use to manually set up CactusVPN on your Android device. A World of Online Entertainment Is at Your Fingertips! Our Smart DNS (which comes bundled with our VPN service for only $4,58/month) can help you access 250+ geo-blocked websites from around the world. Netflix US, Hulu, BBC iPlayer, Now TV – tons of website and shows are just waiting to be enjoyed by you, no matter what country you are accessing them from. Your investment is always safe with CactusVPN since we offer a 30-day money-back guarantee. So, you’ve got all the time you need to check out our services, and see if they meet every single one of your needs. That’s not all – you can even test out our VPN free of charge for 24 hours if you want to be extra safe! You can do the same with our Smart DNS too, but for 7 days instead. And don’t worry – no credit card is required for this. Tim has been writing content and copy for a living for over 4 years, and has been covering VPN, Internet privacy, and cybersecurity topics for more than 2 years. He enjoys staying up-to-date with the latest in Internet privacy news, and helping people find new ways to secure their online rights.